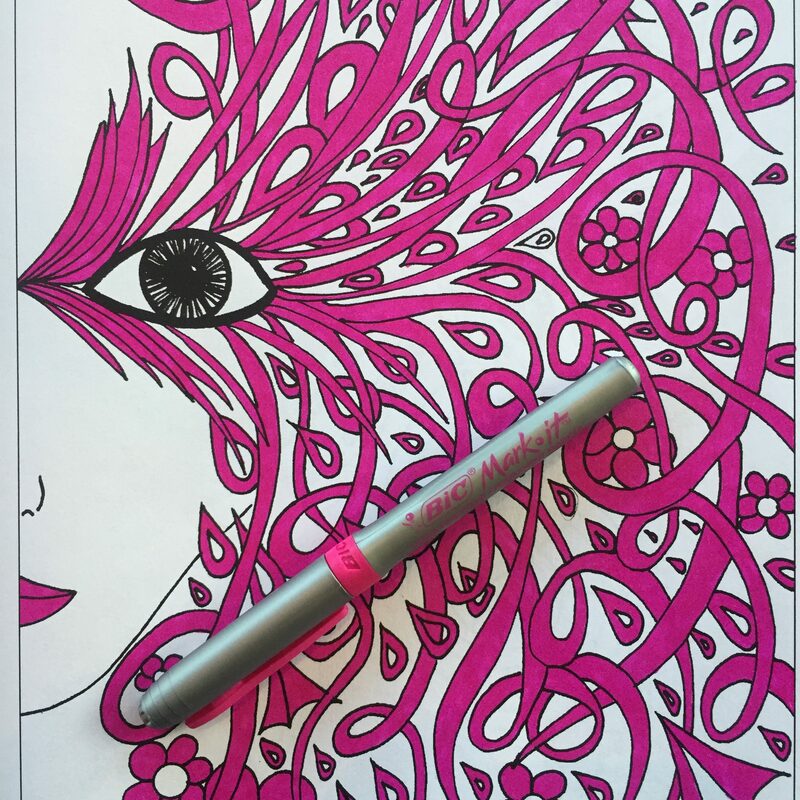 It’s no secret that I love both Bic and Sharpie markers. Recently a reader of this blog complained that her Bic Mark-It markers did not last very long. 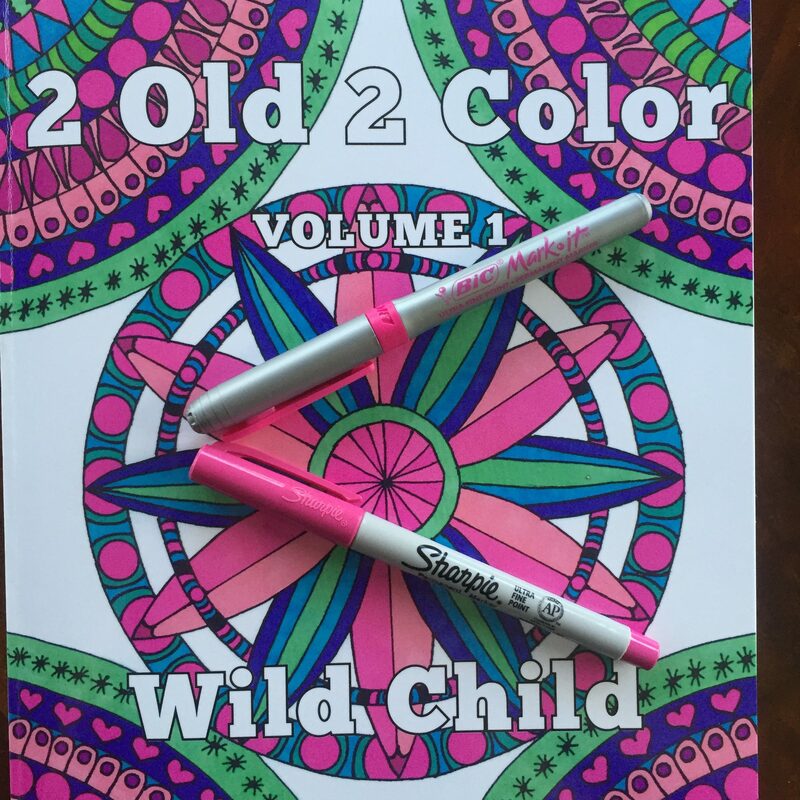 This prompted me to want to know – Bic versus Sharpie markers which last longer? So I decided to find out. It was time for a head on test of Bic versus Sharpie makers. This is how I tested the Bic and Sharpie markers. 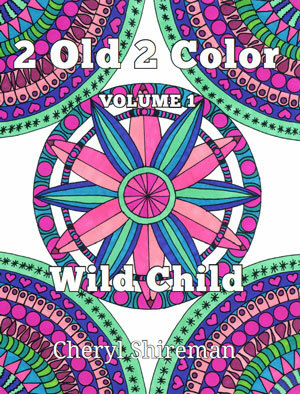 I chose a picture from my 2 Old 2 Color: Wild Child book to color with both markers. 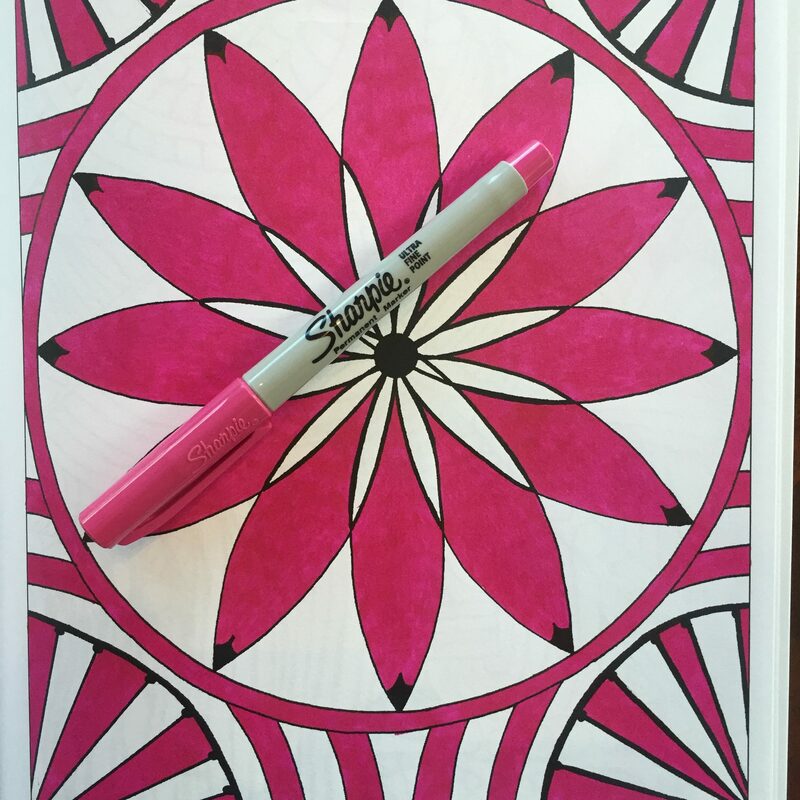 I wasn’t sure how far I would get coloring a page with one marker. My guess was that I would get through one page and then part of another. 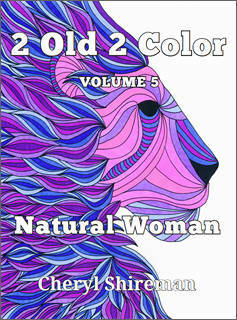 I set a timer and started coloring. 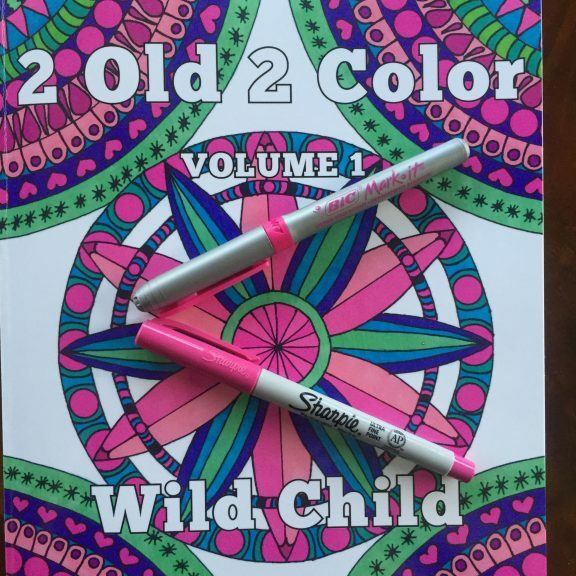 Both the Sharpie and Bic markers easily colored the first page. 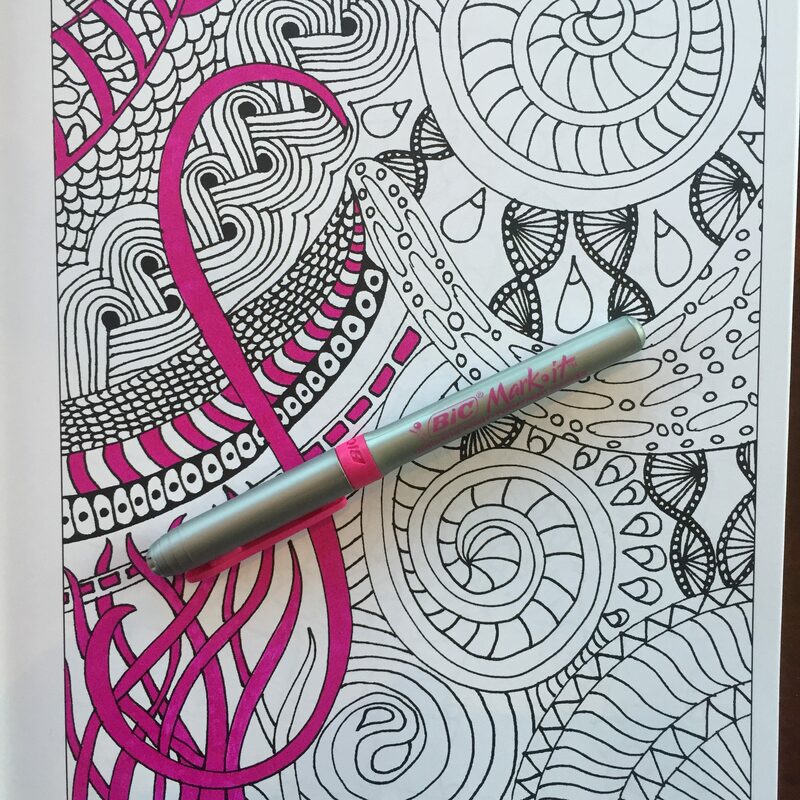 The second page was a little streaky and the tips seemed slightly drier with both markers. On the third page, the Sharpie marker lasted a bit longer and I was able to color images on the right side of the page before running out of ink. The Bic Mark-It marker ran out of ink just as I was finishing coloring the bottom left of the page. 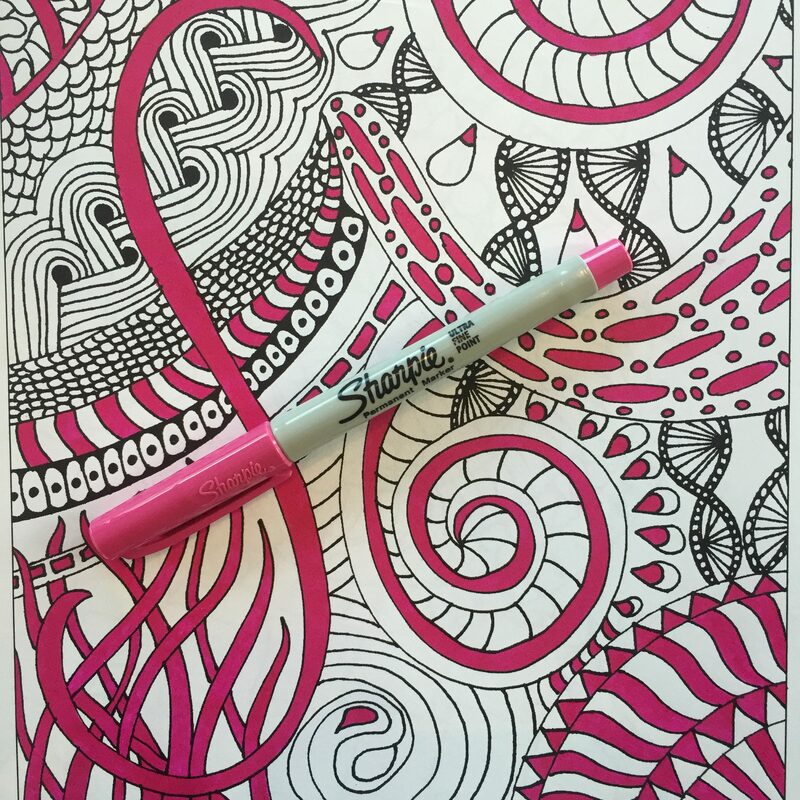 Bic Versus Sharpie Markers – Who Wins? 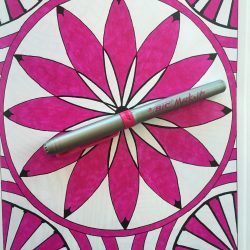 RESULTS – The Sharpie marker lasted a little longer than the Bic marker. But not much longer. I ended up coloring for about 5 and a half hours with the Sharpie marker and 5 hours with the Bic marker. COST – As of this writing, the Sharpie marker costs about 48 cents each (in a 24 pk) and the Bic Mark-It marker costs about 63 cents each. 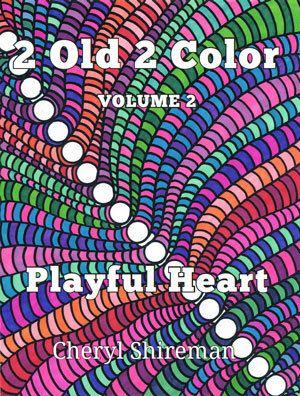 So, if you are cost conscious, or if you are just starting out coloring in adult coloring books, you might want to start with a nice set of Sharpies. If you’re like me, however, soon you won’t be able to resist the lovely colors found in the Bic Mark-It collection of markers. Either way, you will end up with a nice long-lasting marker. I basically came upon the same conclusion myself. I began with a set of Bic Mark-it (fine tipped). However, I wasn’t happy with the bleed through. So, I picked up a set of Sharpies (ultra fine). 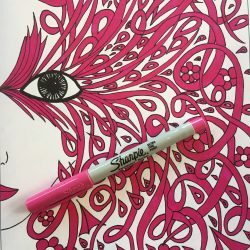 I found the Sharpies to last longer and overall superior to the Bic markers; although I couldn’t help but try the ultra fine tipped Bic Mark-its for the color variety. 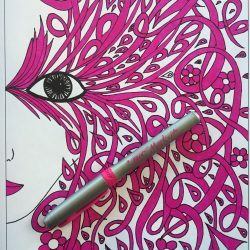 Now, I am a multimedia girl, using not only markers, but gel pens, as well. 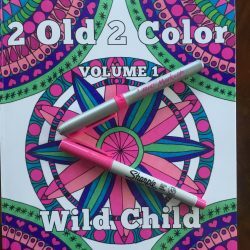 I was fortunate to fine a set of Prismacolor colored pencils (24 pack) for $5 at my local Walmart. I thought there had to have been an error; but they were on clearance. 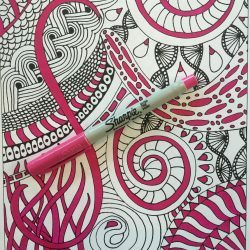 I’m currently searching for a set of soft core colored pencils that will come near the joy of using these expensive beauties with no luck. So, I now have a massive collection of colored pencils that basically go unused while I enjoy my markers and gel pens. After all, when you have arthritis in both wrists, you need to go with what is easiest and covers the page best at a decent price. Elisabeth I have soooo many markers and coloring pencils that it is embarrassing. 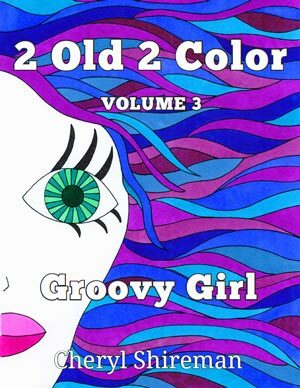 With the release of my latest FLOWERS coloring book I am going to experiment with colored pencils and shading. I’ve seen some lovely results with those and I’d like to give it a try. Like you, though, I do prefer the markers. I haven’t used the gel pens as much but I like those too. My favorites are still the Bics and Sharpies. So sorry to hear about your arthritis in both wrists. It sounds like it’s not slowing you down too much. 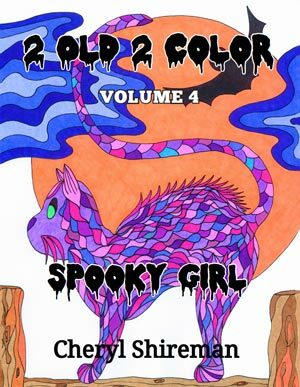 Happy coloring Elisabeth!